Chitty Chitty Bang Bang 50 Years exhibition is open to visitors at Beaulieu Motor Museum. 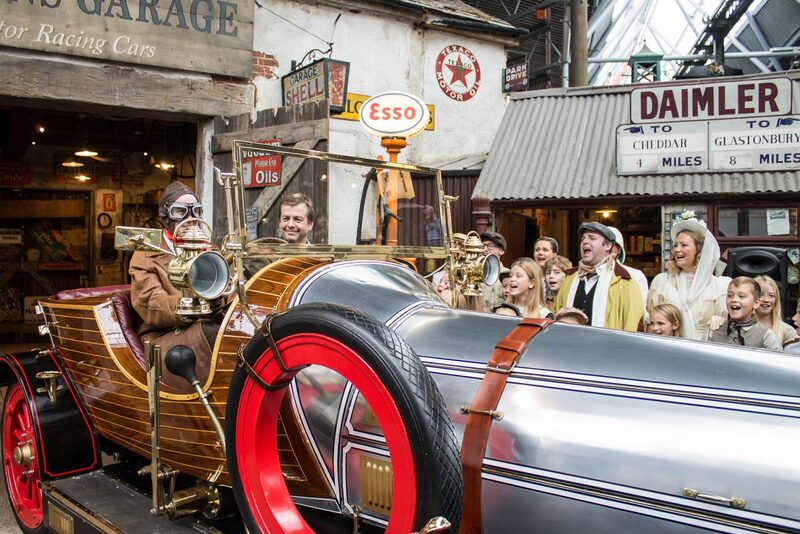 It includes an original screen Chitty Chitty Bang Bang, the Humber 8hp driven by Truly Scrumptious, the original Child Catcher carriage, Coggins Garage, the inventive machines of Rowland Emett, a replica of Grandpa Potts’ hut, the Spy Phone, costumes and original film artwork on display for the first time. For the preview launch last week, Lord Montagu and celebrity guest Adrian Hall (who played Jeremy in the film) recreated a scene from the film as they emerged out of the garage in Chitty while a cast of 30 children from a local stage production sang Chitty Chitty Bang Bang. The display runs until November 2019.